Wendy is the Client Coordinator with Michigan Agency Partners. She has 21 years of experience in the insurance industry. 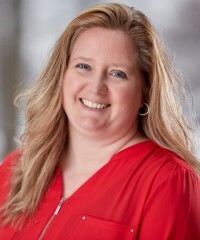 Wendy has been involved with several aspects of the independent agency; her experience includes 2 years as office manager for a locally owned Farmers Insurance Agency, 6 years involved with property/casualty claims adjusting and 4 years as a Life/Health customer service representative for a local independent agency.